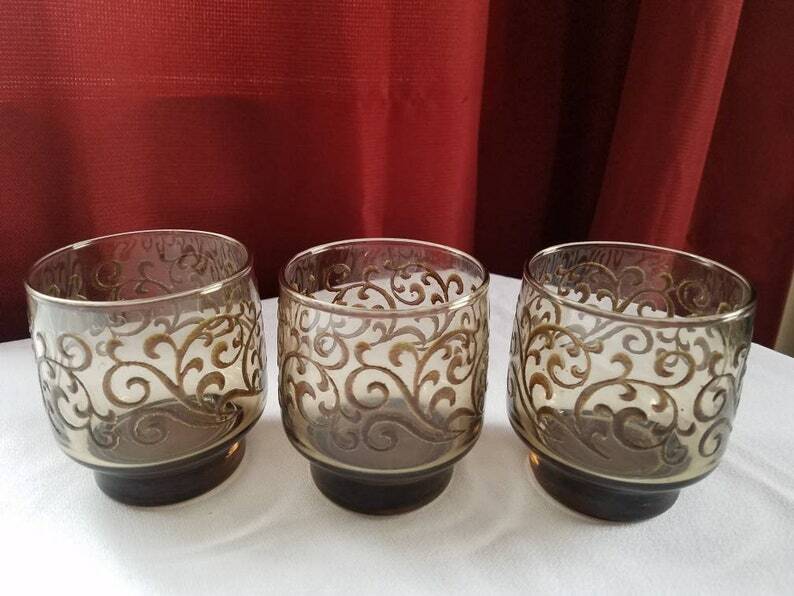 Retro Tawny rocks or whiskey Glasses or Goblets in Smoke Brown. Glassware by Libbey. Drinkware in good vintage condition showing some light ware. No chips or cracks. These elegant modern glasses will fit any mid century modern design or Madmen theme bar. They show light use. The rock sharp glasses are 3.25" tall tops are 3" and 2" base. These small tumblers could also be used forjuice glasses and would make an excellent gift. They are collectable modern barware. Libbey introduced Tawny Accent in 1973. This amazing ship lantern lamp really completes my nautical bedroom! So perfect! Thank you! fast delivery and packaged so carefully!